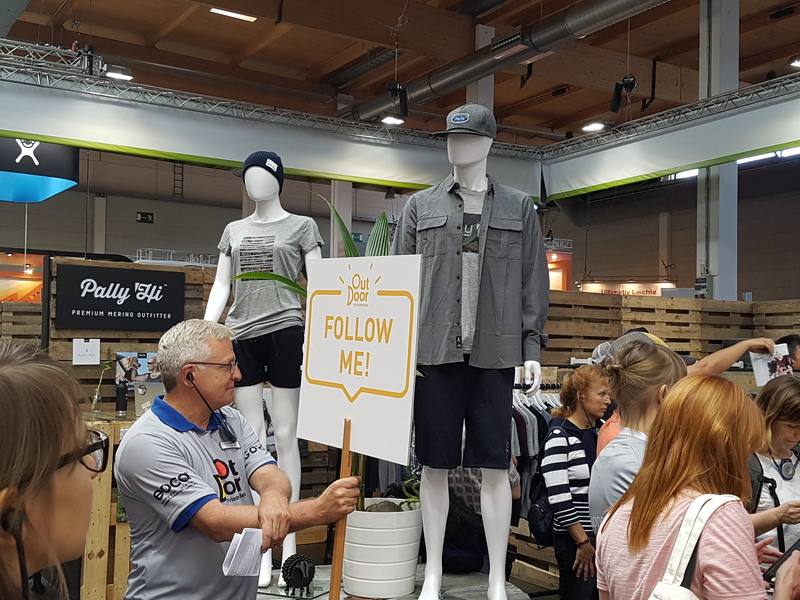 Another year, we assisted to the big gathering of the Outdoor Industry for the spring-summer collection in the picturesque village of Friedrichshafen. 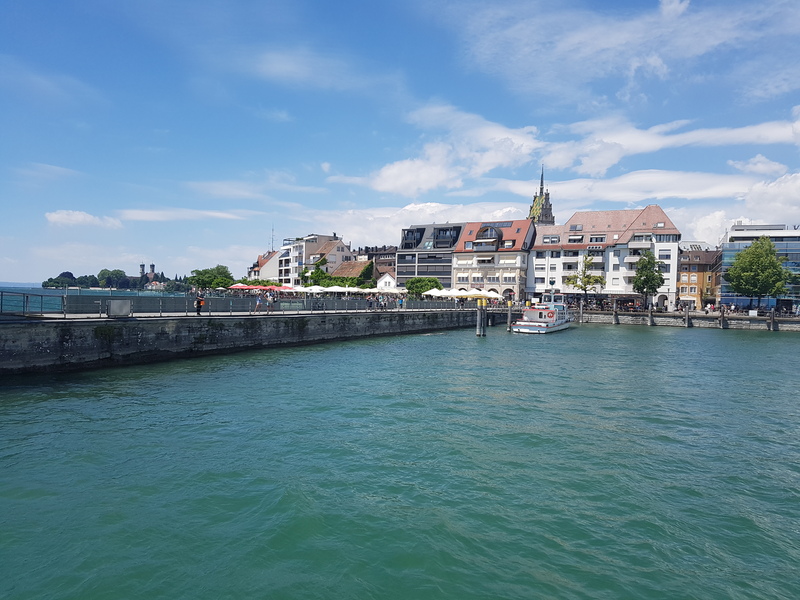 Friedrichshafen is located at the shores of lake Constanze on the Swiss/German border. 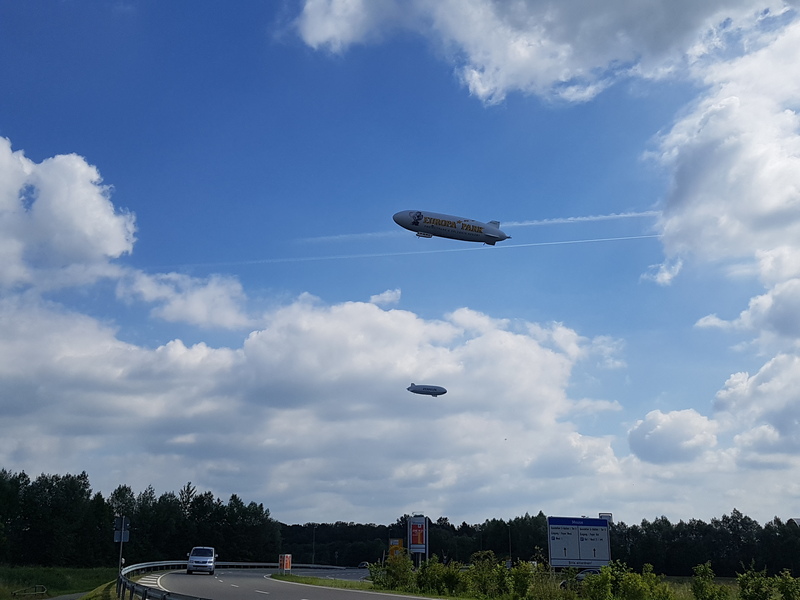 There is not much more to it than a cute promenade, a lot of apple farming, for some reason a zeppelin airport and a massive industrial fair facility: here is where OutDoor takes place. During the trade show I did a raw coverage through Instagram and Instagram stories, however now it’s time to bring all the settled thoughts to paper. The first thing that caught my attention this year is that it was less busy than on previous editions, especially the first day. 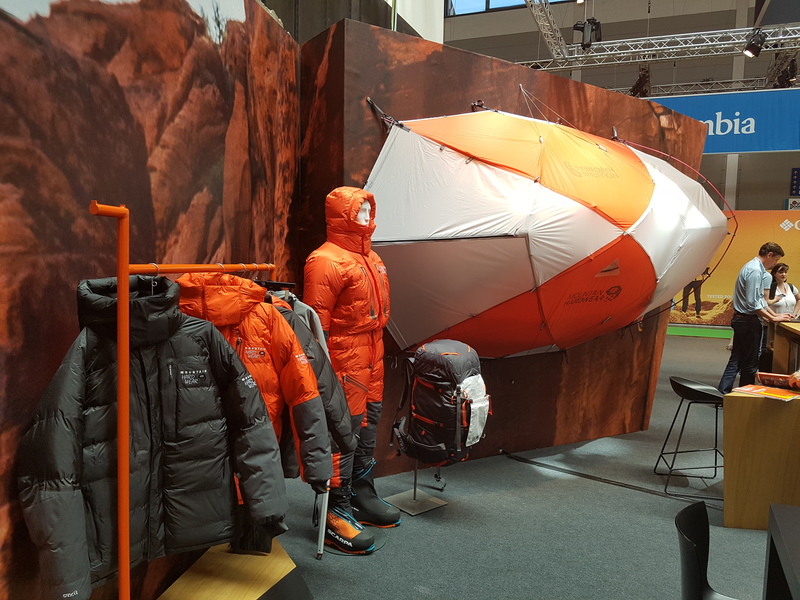 For a long time, the marketing efforts of the industry were focused on the practitioners of the classic outdoor activities such as hiking, camping, climbing and alpinism. Later we tried to bring the people of the city to such activities. Mountains are mediatic and catch mass attention. Even though there are a lot of people that climb, there are actually not that many. 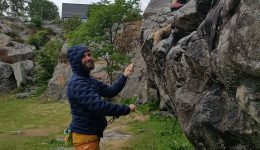 Hence, nowadays the target for a big part of the industry is URBAN, crossfit enthusiast, indoor climber, asphalt runner and occasional outdoor weekend warrior. They live connected and empower social media. Moreover they have a big feeling of belonging to the outdoor community, its values, but most important, it’s Brands. Such targeting is nothing new; however this year we cross the line: we seek to equip them in the city and for urban specific activities. It’s the Outdoor Hype or #wanderlust. Regarding this, I have mixed feelings. 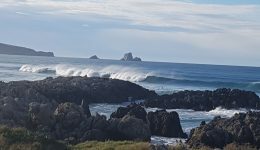 It was not long time ago when the surf industry erupted massively in the urban market, gearing us all the way from t-shirts to watches and through everything in between. That bubble bursted and still the surf industry is not fully recovered. Trail running has been probably the activity that solidified the link between the Outdoor world and the urban world. As we could have imagine, it’s presence on the trade show was huge. 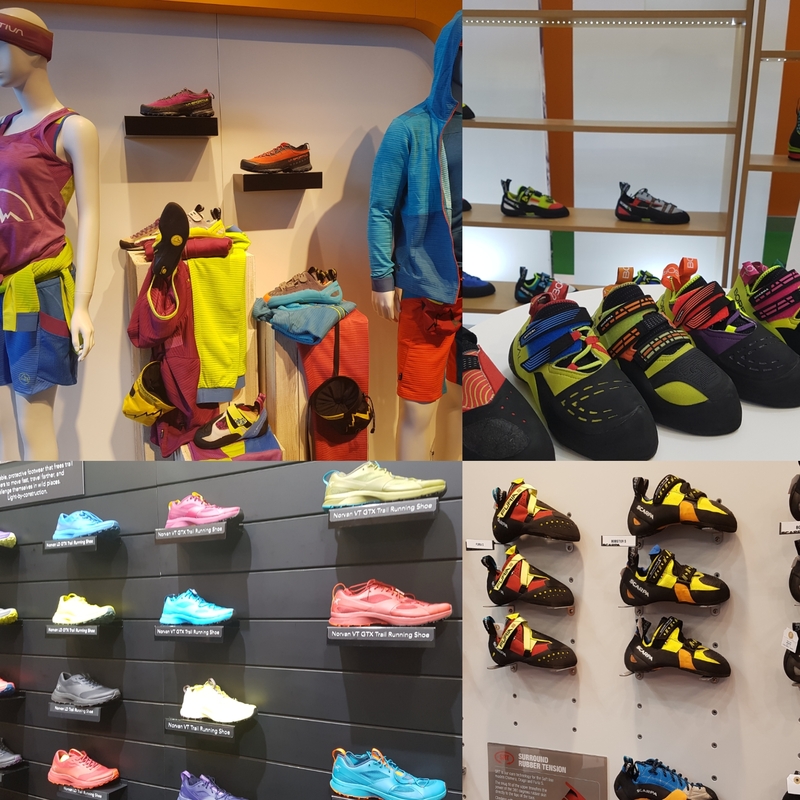 Actually most of the classic climbing manufacturers have their trail running collection: La Sportiva, Scarpa, Boreal, Columbia, Mountain Hardwear, Arcteryx…. They all want it’s share of the pie. 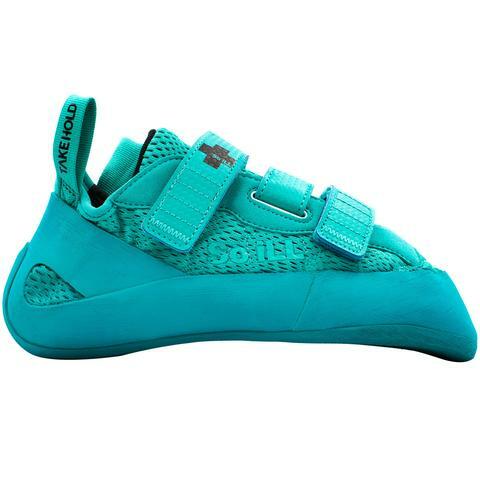 At the beginning of the year we saw the start-up and climbing hold manufacturer So iLL, penetrate the climbing shoe market with a fresh approach through the most successful kickstarter campaign of the industry. 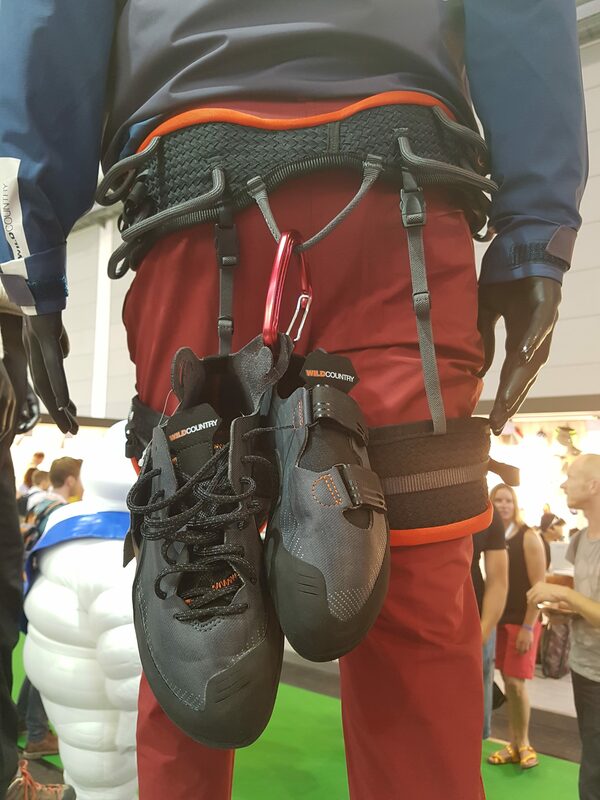 During the trade show we confirmed that traditional gear manufacturers such as Black Diamond and Wild Country have as well jumped on the shoe train and Edelrid has established a partnership with Red Chili. 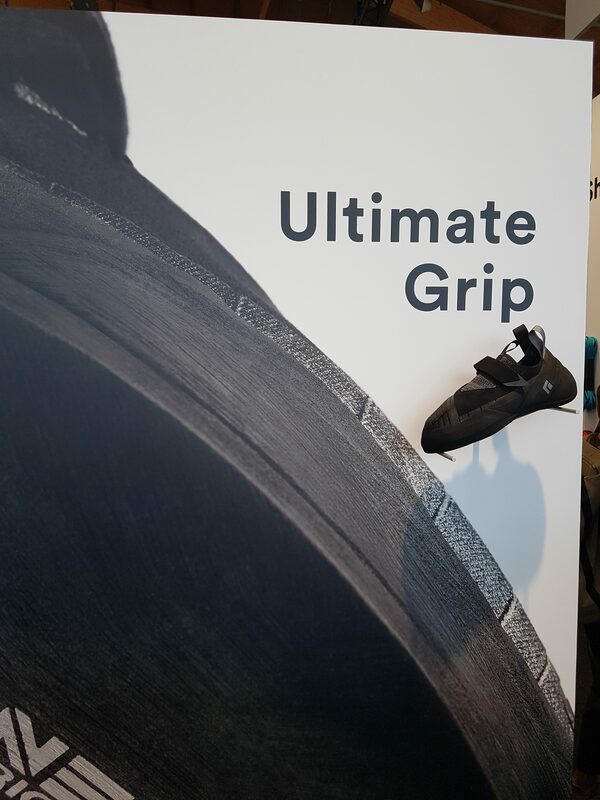 Last but not least, Michelin is strongly investing in the rubber sole business; they ambition to become a b2b reference such as Vibram and they are already developing the rubber for Wild Country and partnering with Boreal. That’s a lot of shoes. Especially considering the new proposals from the classic shoe manufacturers. 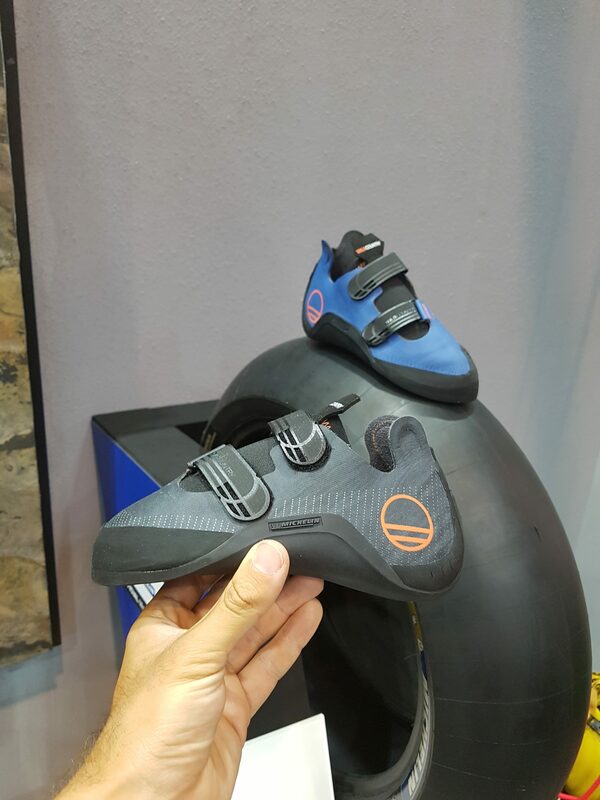 This makes me think, how many climbing shoes can hold the market? I’m a simple man. 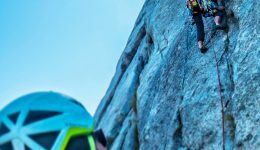 I see intelligent climbing products, I get happy. 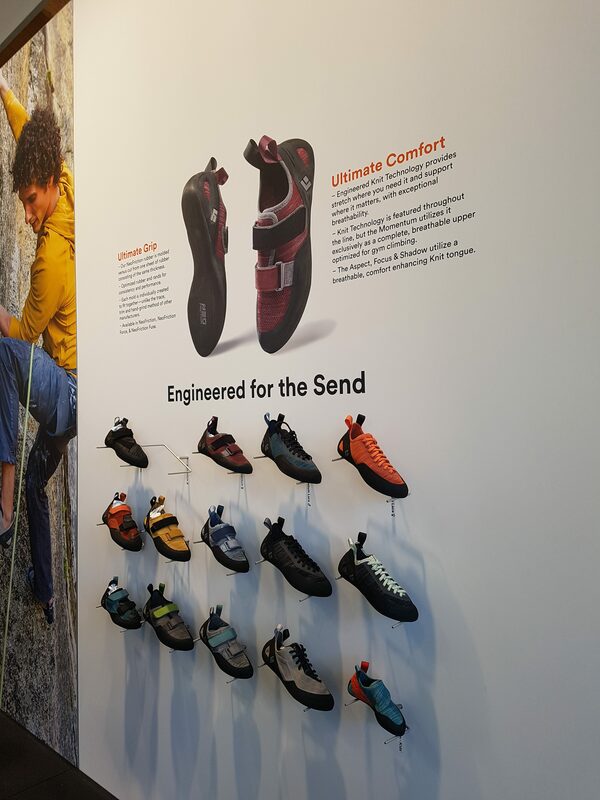 –Mountain Hardwear won a piece of my heart due to the fact of been almost the only technical apparel manufacturer that left some space in the stand for the exploring activities in the high mountains and Himalayas. ONTHEBELAY Becoming a better climber II. 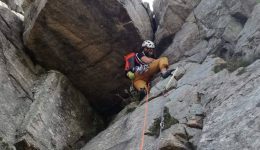 Trad climbing: the good, the ugly and the grade. –Dmm has launched the Dragon Cam in size #7 and #8. When you are not good at sport climbing, just like me, you better enjoy good crack climbing. Even though offwidths are definitely a big game, who can’t resist every now and then some suffering, crying, sobbing and bleeding? –Beal Escaper: a detachable anchor point for rappeling with a single rope or as a way to escape when you have damaged a half rope. Chapeau. What else can I say? Such a clever and effective solution for one of the most feared situations that you can get in the mountains. Check Beal facebook page for their full display video. 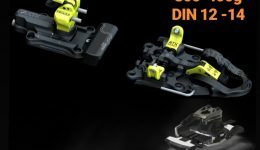 –Edelrid Ohm. 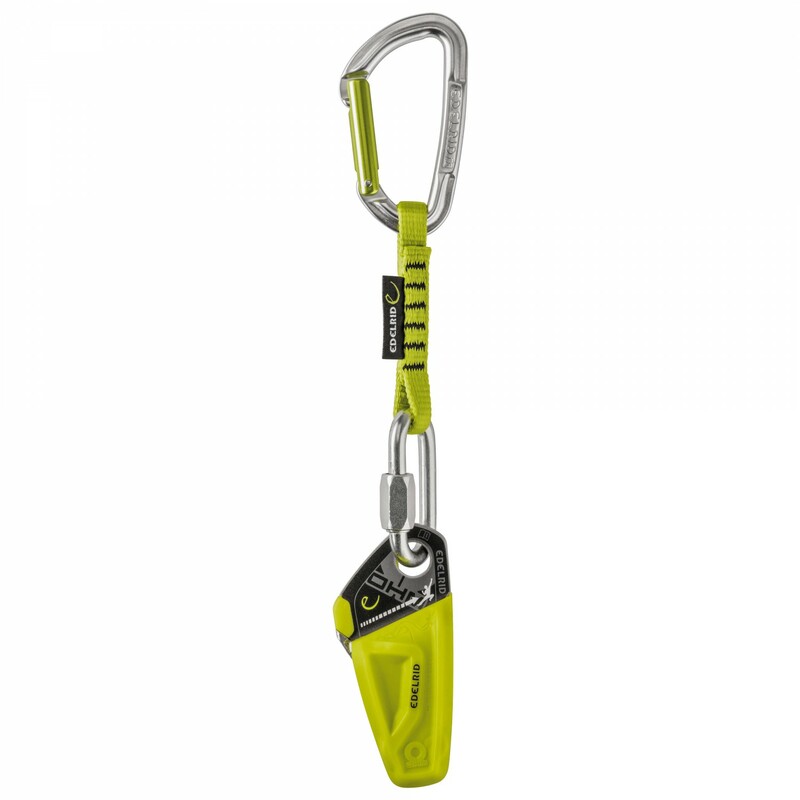 Effective solution to the classic problem of a big weight difference when belaying. 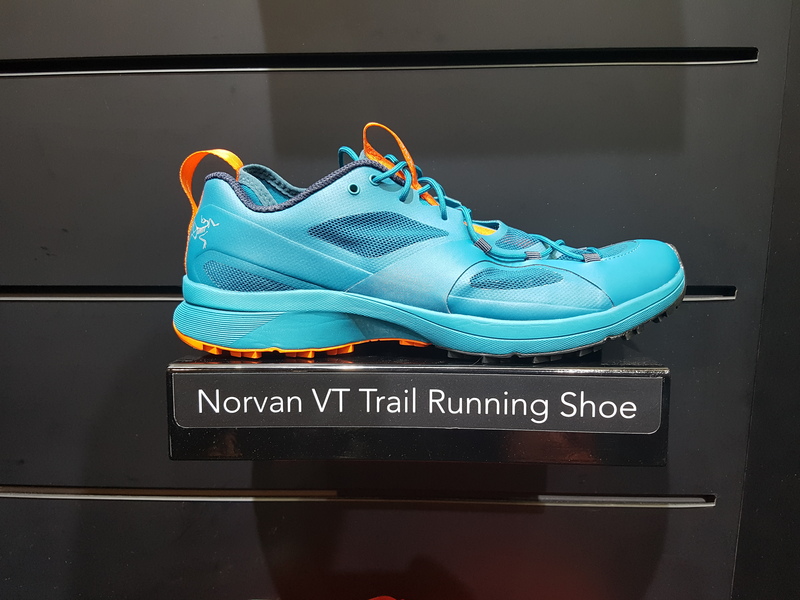 –Boreal G1 Expe and Arcteryx Norvan VT running shoe. I liked both for similar reasons. The Boreal G1 Expe is simply a well constructed boot with new materials for the medium alpinist. It’s warm, solid, well reinforced on the heels, robust and achieved at a good weight. Lately on Alpinism, we’ve been going for the ultralight. I love it; there is nothing as moving light and agile on a granite ridge. However ultralight proposals tend to not offer a great support on the heels for an alpinist that is not on an athletic shape. Moreover the materials tend to wear off after two seasons of moderate use. 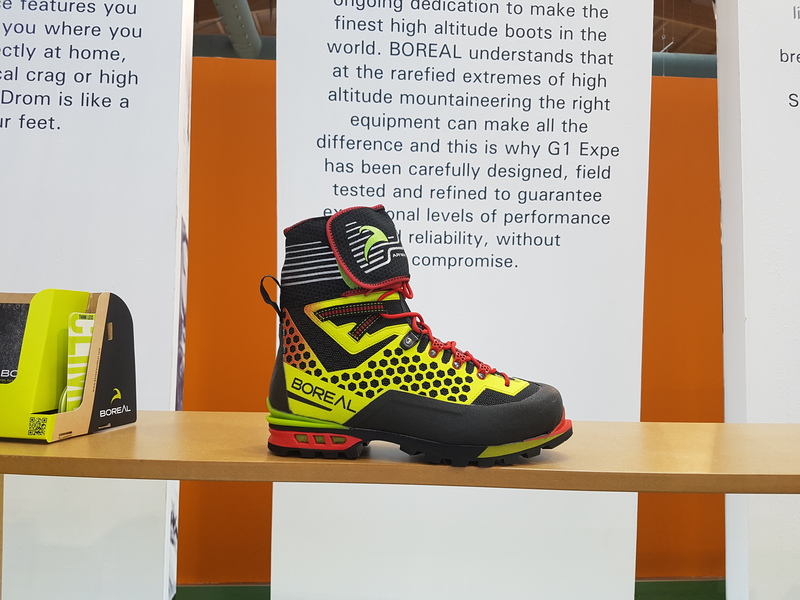 I find somehow fresh the approach of Boreal: building a solid and resolutive boot for the average alpinist that wants a comfortable, supportive warm and long lasting materials but with the latest technology. 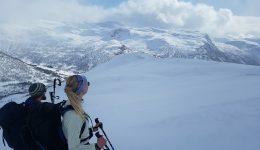 ONTHEBELAY Insulating layering strategies featured by Helly Hansen: Part 1 Baselayers. For similar reasons I get identified with the Norvan line from Arcteryx. It’s a well constructed clever shoe that incorporates their 2 layer technology. Achieved breathability and waterproofness and designed for moving light on trails and even running. I like from it that it steps a bit aside of the classical trail running proposal, that in my opinion tend to be too close to urban and track running. I’m not a big fan of trail running; well neither of running in general. 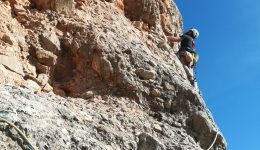 However, it’s not unusual that I go for 15km activities where I combine hiking and scrambling. For such activities I like to move fast, but not necessarily running.From what I’ve seen in the trade show, I feel like the Norvan line could be pretty resolutive for such activities. Well, there may be something better, but I haven’t really spent all that time inquiring in the trail running corridors and testing a lot of trail running products. I took pride to see that sustainability starts to get greater strength in Europe. It may seem nothing new, the Outdoor industry has been campaigning for the environment since years. However sometimes we could have the feeling of been something more corporate than real local actions; at least at the European level. 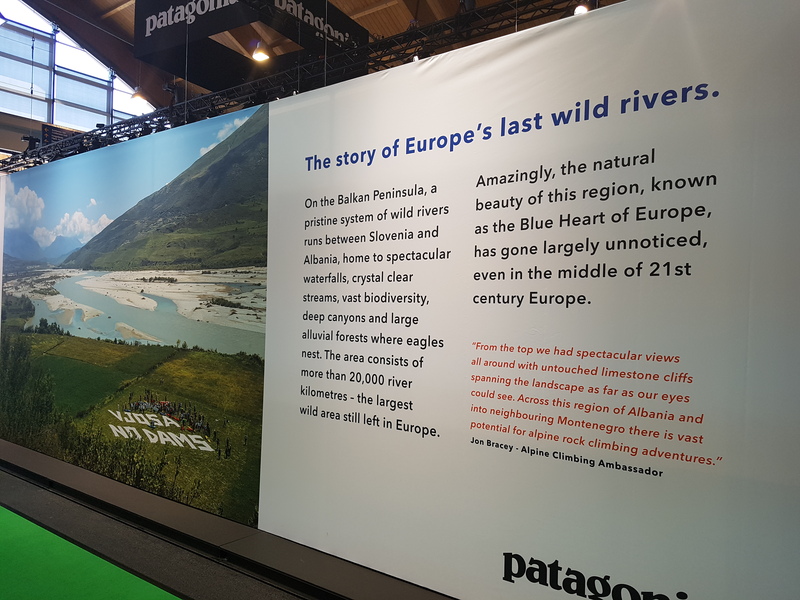 One of the brands that is putting greater strengths since years in carrying the sustainable flag is Patagonia. 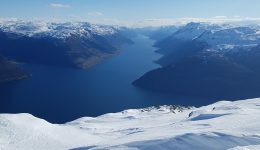 This year, for the first time, their main conservation project will take place in Europe; more precisely in the Balkans. Over there remains the last wild delta of Europe but it’s facing a hydroelectric project. Will we achieve to save it? 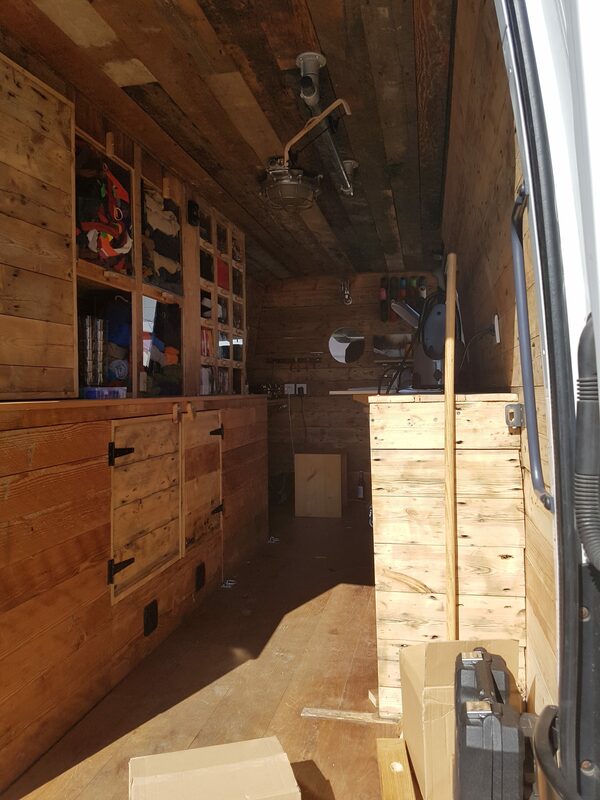 Another nice proposal from Patagonia is this van. You can take them your old Patagonia products and they will repair them for free. The van is every now and then touring around European cities. It seems that manufacturers are putting a big stress in developing fibers with less polyurethane, chemicals, dyes while offering greater recycling solutions. 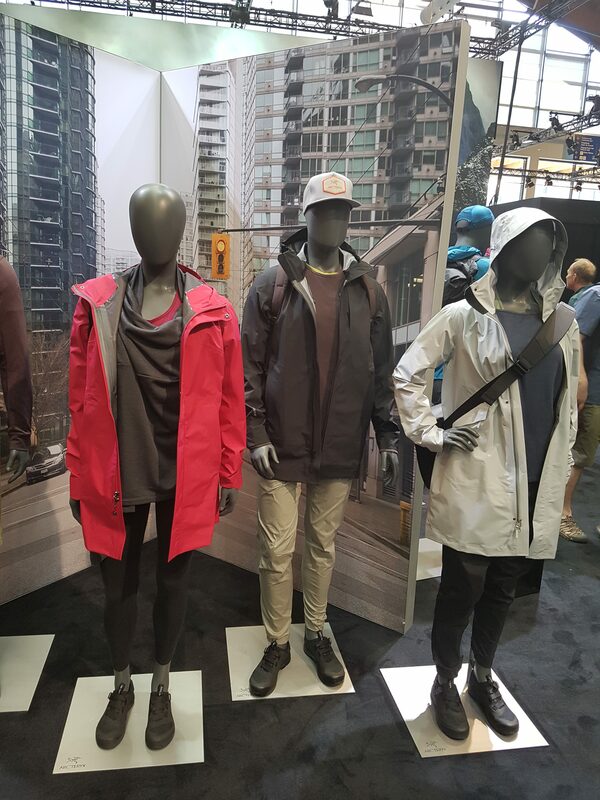 Columbia has launched a technical line without dye that comes in two colours, white or grey. 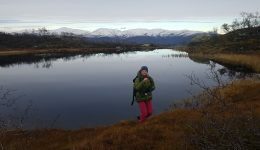 Ternua, won an Outdoor award for recycling old fisherman nets collected from the basque harbours and turning them into a fabric suitable for making a lifestyle climbing and hiking pant. The capacity of innovation is limited. We just cannot expect from every manufacturer to come every year with even better products. 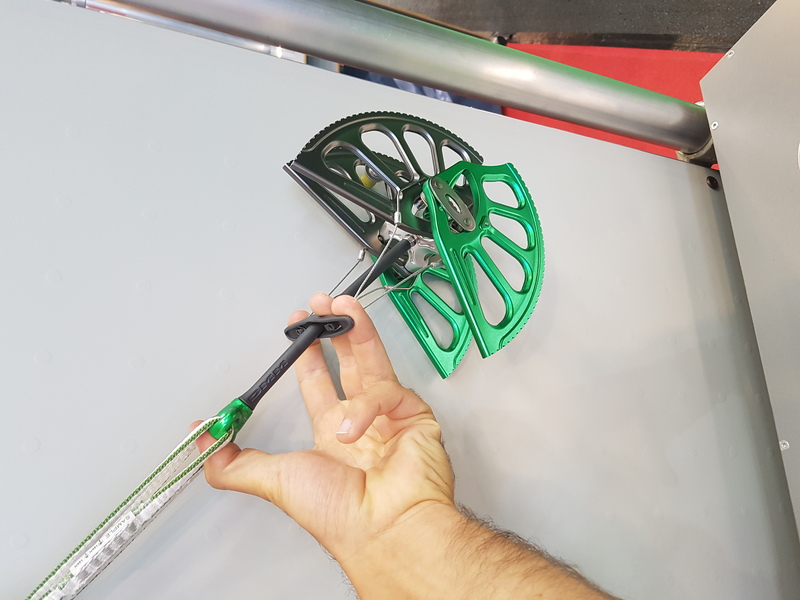 How much can we still improve an ice screw or an alpine walking Ice axe on a yearly basis? Well, for sure there is still room for improvement, but those big steps don’t come earlier that once every five years. The positive side of it, is that every year we are still able to see some products that made it. In the meanwhile, we will always be able to work with relooking and the fashion side of products. ONTHEBELAY Light and tough. 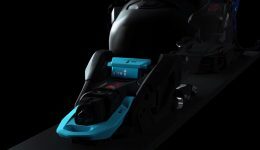 How well does this apply to the backcountry freeski planks? As you know, we climbers love colours.